Building a Successful Job Hunting Network! In successful job hunting we know the value of asking others for assistance in finding the right job, even though we may be reluctant to do so. And equally important you must work hard to discover how you can assist those in your network. If you get in the habit of assisting others it won’t be long before you’ll be on the receiving end of someone else’s help. To be effective you need to build a network of contacts that you keep in touch with, that understand your job objectives and your skills and experience. Your effectiveness will be a function of having an organized well thought out method of discovering individuals who could be helpful in your job search. Further, you have to be disciplined to follow-up and remind them on a schedule that your job hunt is still open. 1. Start with a list of people who can tell you about possible job openings. They may also provide you with industry and career related information. How big should the initial list be? You be the judge, but it should start with at least twenty names to over thirty or more. Be sure to exclude people who might put your current job in jeopardy. Individuals you worked with in previous jobs, close friends where you currently work, old classmates, neighbors, individuals you know from community activities and professional groups could all be in your network. 2. Now send each individual in your network a short personalized letter along with your resume. Indicate you need their assistance to possibly identify relevant job openings or perhaps refer you to others who might be helpful in your job hunt. Thank them in advance for their help and comment you’ll be in touch by phone in about a week. If you send out 15 or so letters a week, plan to follow-up in about another week. Try for a short meeting over a cup of coffee, if that’s not possible do the meet by phone. Since most in your network will not be in a position to offer you a job this is not you main focus. You want to make them aware of your skills, experience and job objectives and ask that they direct you to possible job opportunities. Of course if you can help them, or someone in their network do everything you can. You can also ask them for job hunting ideas. If they can direct you to someone who may have an opening ask if you can use their name as an introduction. It’s very important to ask each of your contacts if they can give you three to five names of others that might be able to assist you in your job search. Find out something about the individual’s relationship with the new contact, what job they hold and where they work. Repeat the networking process with the new names. If you, for example, start with 30 names and each gives you two new contacts and each of the new contacts gives you two names you network has now grown to over 200. 3. Devote up to half of your job hunting time meeting and contacting the individuals in your network. If you get a good idea be sure to send an appropriate thank you. Set up a detailed system helping you keep track of the many contacts in your network. Perhaps even setting up a specific email address for your job hunt would be helpful. Something like: first.last(at)gmail.com would be appropriate. Follow-up at a minimum of every two months or so, as they may have forgotten about your job hunt, indicating you job hunt is still active and inquire if they have any new ideas for you. Don’t forget a network works both ways. If you can help someone in your network connect with a job, or generate sales for their business or help in other ways by all means pass the information on. The more you can help others means it’s more likely you’ll be helped in your job hunt. After 4 to 6 weeks of this kind of effort the individuals in your network will continue to grow and you may have problems acting on all the suggestions. B. Meet and greet events, sponsored by a local Chamber of Commerce, for example. All of the above will help you grow your job hunting network. Before each event plan you approach, have business cards ready, your 30 second elevator speech down pat, ask a lot of questions and follow-up with all your new contacts. 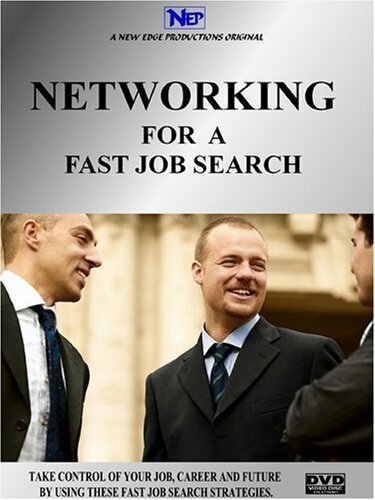 Is there any doubt with this robust networking effort that it will greatly assist you in your job search? When you do find the right job, send everyone in your network an email and thank them for their efforts. Keep the lines of communication open as your network can help you in your career and new job. Also, you’re now better available to assist others in their job search. Moreover, you never know when you’ll have need for their help in another job hunt. John Groth has changed careers seven times during his working life. Learn more about changing careers and job hunting at http://careersafter50.com. Discover how others over age 50, built winning career plans and found the right careers by career planning after 50. ← Get Past Your Fears Of Networking And Find The Right Job!